Zoeva Rose Gold Luxury Brush Set! Hey, friends! So sorry that it's been a hot minute since I've posted- I've been so busy that I barely have time to sleep, let alone blog. Sad face. In happier news, I started a YouTube channel! You can subscribe here if you so desire. But anyhow, let's get down to business (to defeat the Huns) and discuss this offensively lovely brush set. 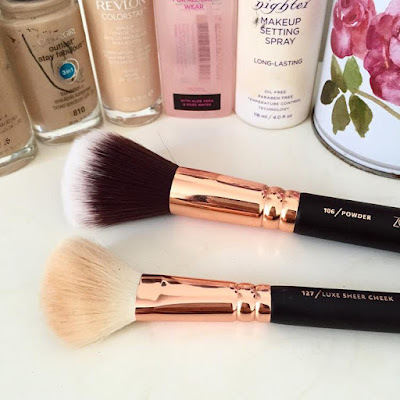 I was ever so lucky as to be gifted the Rose Gold Luxury Brush Set from Zoeva Cosmetics. I mean, when I got the email I squealed - hello, yes, please. 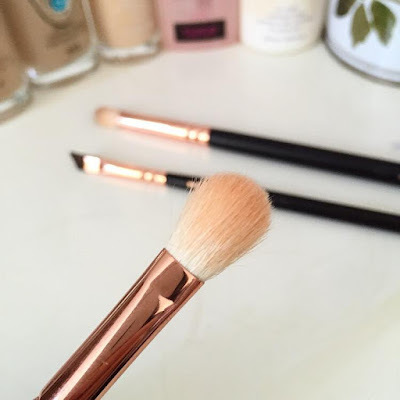 Since receiving the pretty little things they've become an integral part of my makeup routine, so I figured I'd walk you all through each brush and what I use them for. 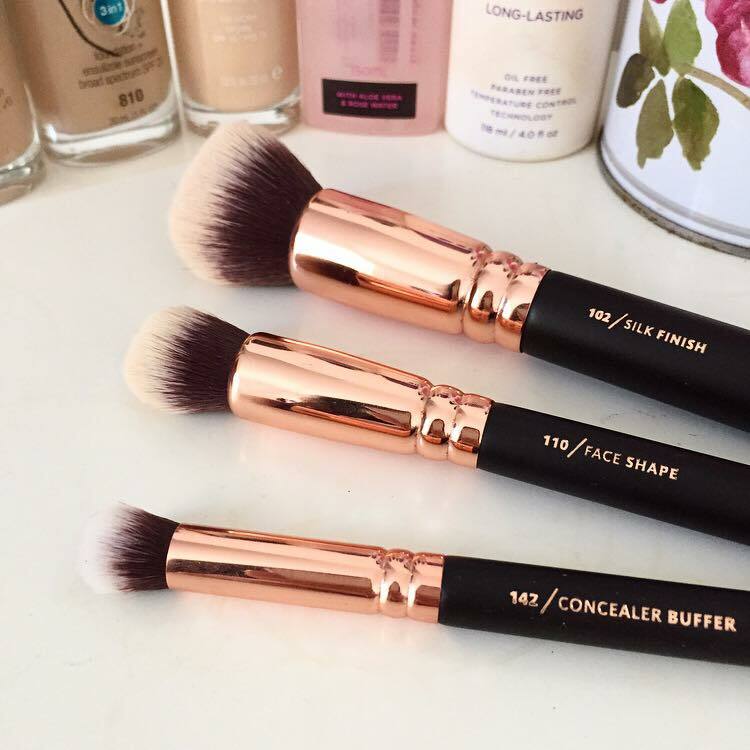 Get ready for gushing and gorgeous brushes. First up is the Silk Finish (102) Brush, which lives up to it's name entirely. I use this bad boy to apply my foundation whenever I cannot be bothered getting up to wet my beauty blender (often), and it leaves me with an ever-desired airbrush finish. 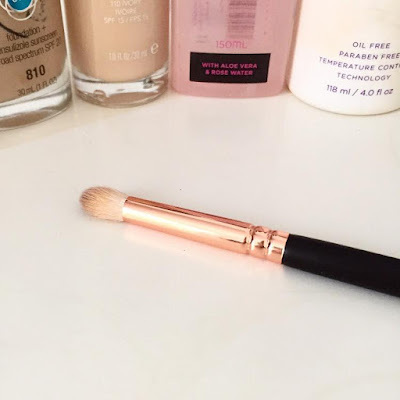 Seriously, your skin will literally look like velvet after using this. I highly recommend this if you prefer brushes over sponges, you'll adore it. Next is a brush that I didn't expect to have much use for, the Concealer Buffer (142) Brush. This domed little beauty sat in my brush holder for weeks before I was finally like "Hey, why don't I buff my concealer in with this thing", and I'm so glad I did. It's perfect for spot concealing in that it doesn't absorb any excess product, because, hi, I need that excess product to cover up my giant zit, thanks. It buffs and conceals like a mighty shy bodybuilder and I'm in love. In a similar manner, the Face Shape (110) Brush is great for concealing slightly bigger areas, like under your eyes or that giant patch of hormonal break out on your chin. If there was a competition for the softest brush in the history of brushes ever, the Luxe Sheer Cheek (127) Brush would win. Have you ever rubbed a kitten against your face? This is what that feels like, but better. I use this for bronzer on the daily; I'll never go back to brushes that don't caress my cheek like angel kisses. Too far? Maybe. The Powder (106) Brush is my least favourite in the set, but given that I still use it regularly, you can tell how bomb the rest of the brushes are. The reason for this ruling is simply that I have much better powder brushes, including ones that are much cheaper (*cough, Furless Cosmetics, *cough). This will 100 percent do the job, but I wouldn't rush out to buy it separately. 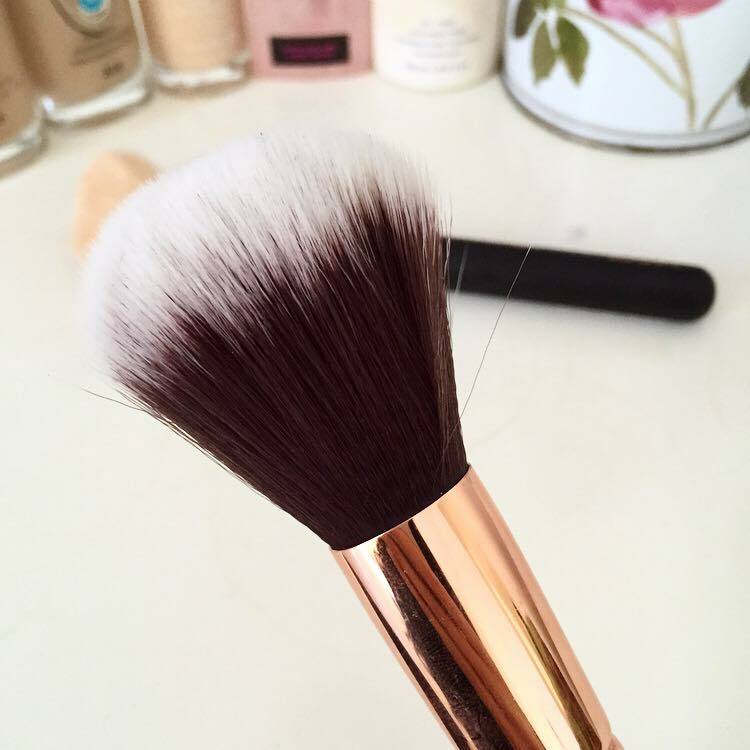 Zoeva created the greatest fluffy brush of all time in the Luxe Soft Definer (227) brush. I use this every damn day to apply my transition shade, as well as to blend the seams of my whole eye look. I cant say too much more about this, you just need to try it. The kit is worth it for this baby alone. 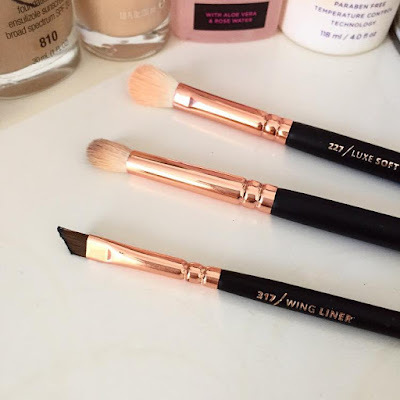 In a crazy turn of events, the Wing Liner (317) brush is incredibly useful for applying gel liner - would have thought, right? The bristles are tightly packed and firm so you can achieve the cleanest lines possible, plus the size is neither too big or too small. I love this thing. Last but certainly not least is the Luxe Petit Crease (231) Brush - otherwise known as the brush that changed my blending life. Melodramatics aside, this brush is brilliant. It's small enough - hence the petit - to fit right in your crease, and soft enough to do all the blending work for you. I use this brush daily, even when it's completely dirty from the day(s) before, and can't live without it. I hope this little tour was entertaining, and inspired you to whip out your tools to paint your pretty faces. 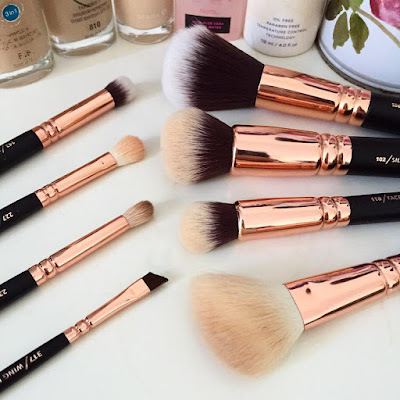 For the record, although these brushes are gorgeous and I am eternally grateful to the Zoeva team, you do not need anything this luxurious to create a stunning look. I am a huge advocate of budget beauty and don't ever want to send a 'high-end-only' message!